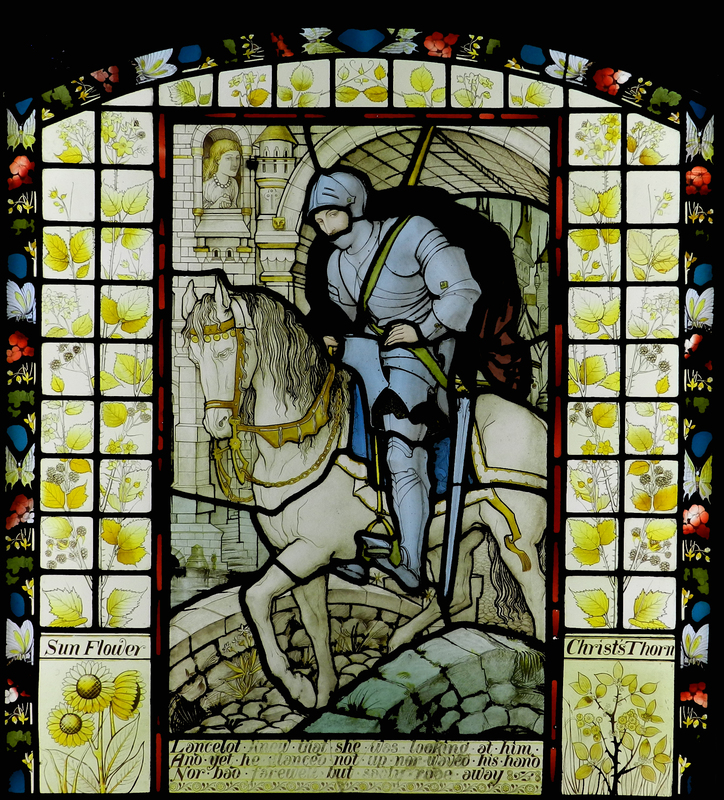 Eight stained-glass panels were discovered in the loft of the Warden’s Stables during its conversion into a museum. They are painted with scenes from Tennyson’s epic poem The Idylls of the King and were made in the 1870s by the London firm Heaton, Butler & Bayne. The windows were acquired by Robert Poulsome Forder, Mayor of Winchester, for his home at 77 Kingsgate Street, now called Wellington House. The School purchased Wellington House in 1939 and the glass was removed for safekeeping when the building was taken over by the War Department the following year. The windows were conserved in 2015. 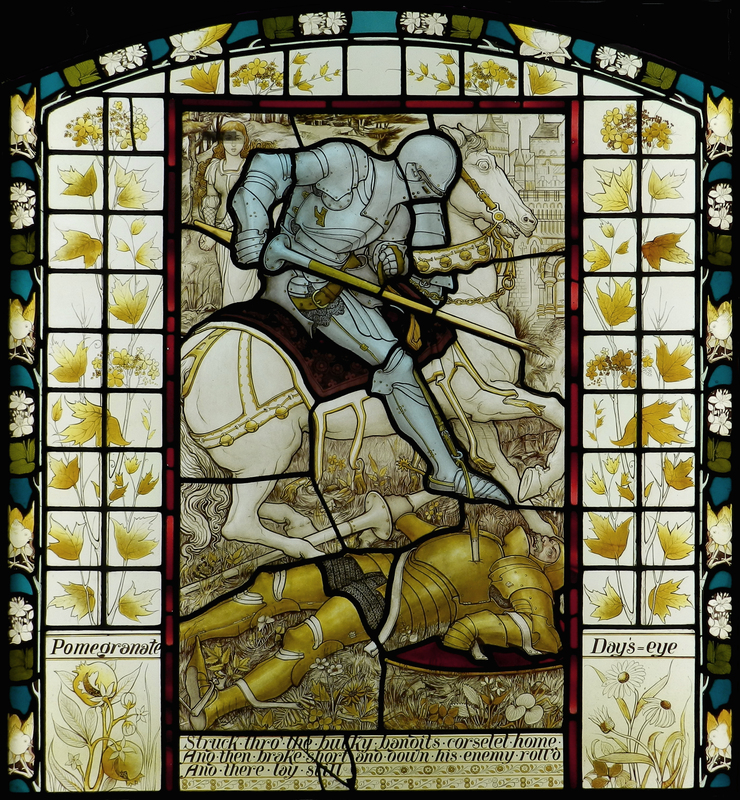 They are an excellent example of the Pre-Raphaelite style that dominated English stained-glass in the second half of the 19th century. This is part of a large stained-glass window made for the Lady Chapel of Saint-Germain-des-Prés in Paris. It dates from c. 1244-47 and shows the death of St Germain (496-576). The Abbey of St Germain was secularised during the French Revolution. The stained glass windows of the Lady Chapel were removed, and later sold. 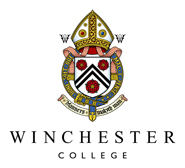 The glass at Winchester was given to the College in the 1940s by Sir Bruce Ingram, in memory of his father William, a former pupil. Other sections of the St Germain glass are in the Victoria and Albert Museum, and the Metropolitan Museum in New York.